I’ve long had a love of baking quick breads. I love their simplicity and versatility, not to mention that they make great homemade gifts. 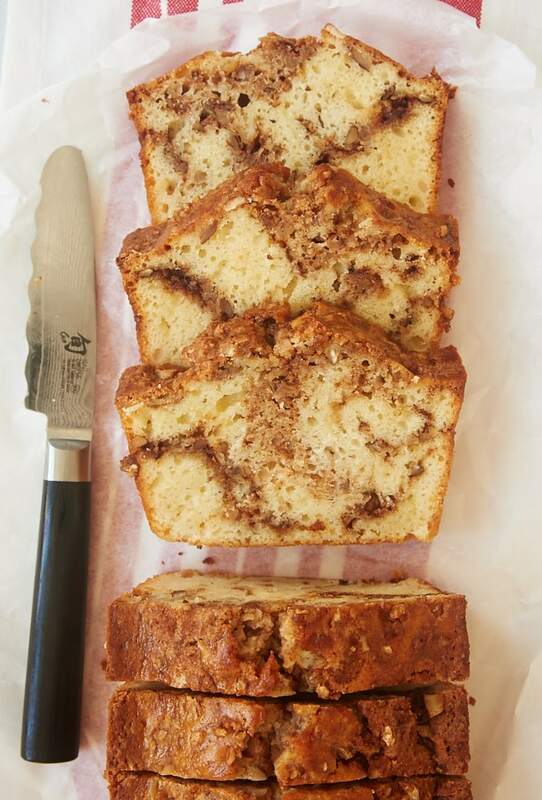 I’ve made so many over the years, yet this Cinnamon Swirl Bread endures as a favorite. This bread is another great example of “less is more” in baking. The bread is fairly simple, with only a hint of vanilla to enhance the flavor. 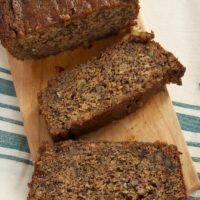 But a simple mixture of just three ingredients gets swirled into the bread to make it something special. More specifically, that swirl is made of brown sugar, nuts, and cinnamon. 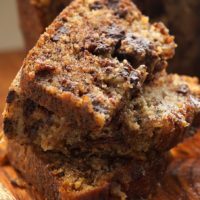 That combination is one of my favorite trios of flavor, and they serve this bread well by adding a sweet, nutty flavor that’s pretty tough to beat. This is the kind of bread that I like to bake on a Friday or Saturday so that we can enjoy it all weekend. 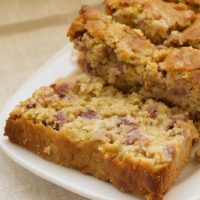 It will keep for a few days in an airtight container, so it’s easy to grab a slice for breakfast, a snack, or whenever the craving strikes. For a little extra special treat, try heating a slice in the microwave for a few seconds to make it all warm and a little gooey. 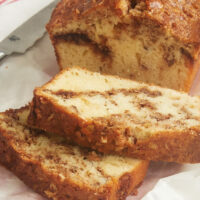 This Cinnamon Swirl Bread is all a quick bread should be. Quick. Easy. And, best of all, delicious. It would be excellent for breakfast, with coffee, or for dessert. 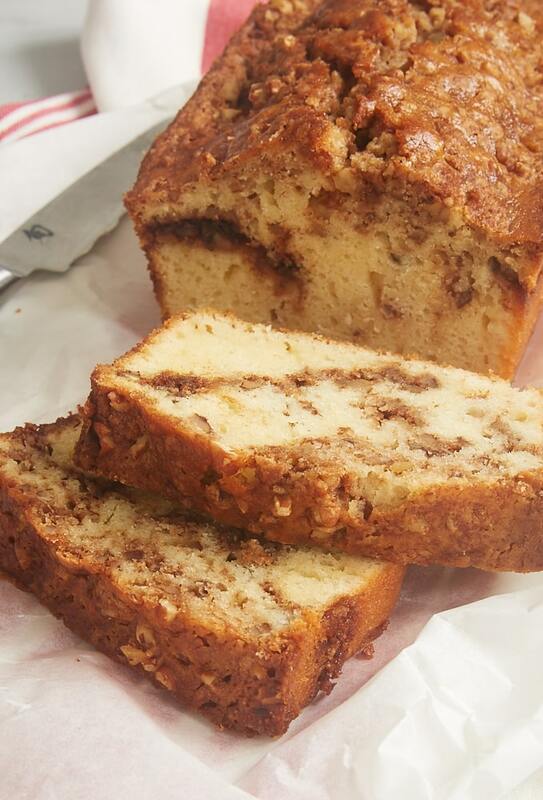 The sweet cinnamon pecan mixture that is swirled through the bread is wonderful. I think I could just eat that by itself. 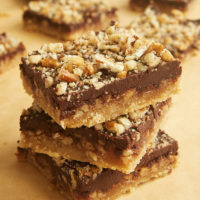 I first found a version of this recipe in a holiday baking magazine in a few pages dedicated to homemade food gifts. A loaf of this wrapped up prettily makes a lovely gift for a holiday, a housewarming, or just because. It will be happily and hungrily received! 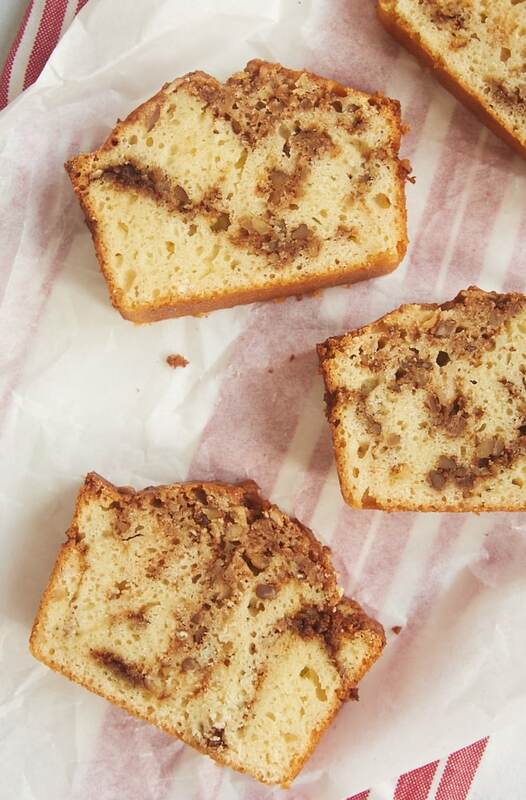 This simple Cinnamon Swirl Bread is perfect for breakfast, a coffee break, or even dessert! Combine the brown sugar, pecans, and cinnamon. Set aside. Preheat oven to 350°F. Grease a standard 9″x5″x3″ loaf pan. Combine the sugar, flour, baking powder, and salt. Make a well in the flour mixture. In a separate bowl, beat the egg. Then, stir in the milk, butter, and vanilla. Add the egg mixture to the well in the flour mixture. Stir just until mixed. Do not overmix. Pour half of the batter into the prepared pan. Sprinkle with half of the cinnamon mixture. Repeat with the remaining batter and cinnamon mixture. With a wide spatula or knife, swirl the mixtures together with a down and up circular motion. Bake for 50 to 60 minutes or until the bread is browned and a pick inserted into the center comes out clean. Cool in the pan for about 10 minutes. Then, remove the bread from the pan and cool completely on a wire rack. *You can substitute 1/3 cup cooking oil if you prefer, although you’ll lose a bit of flavor. Thanks, guys! I assure you, Nicole, that I will not be allowed to stop baking any time soon. My family and friends would be most unhappy. Who doesn’t like free baked goods?!? I too am a sucker – I have about 3 so far… and counting! This looks fabulous. I have to go re-read the ones I have. I always buy those things too but sometimes they do have really good stuff…your cinnamon bread for example looks wonderful. I’m so excited! I’ve got mine in the oven right now! It smells amazing!! This was really good. I especially like the gooeyness of the cinnamon swirls. Rachelle, I’m glad you liked it! Wow, this looks great – makes my old recipe not look so appetizing! I was wondering how many loaves your recipe will make? Thanks! Love this bread! I made it last weekend to take to sunday school and it was a big hit. I made it with walnuts though, because that’s all I had. I already want to make it again. Could you substitute coconut oil for the fat in this? 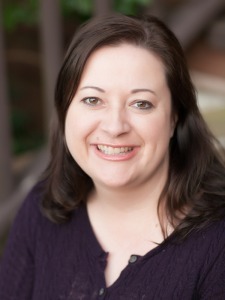 Hi, Lori. I’ve not tried it, but you should be able to substitute coconut oil for the oil in the bread without any adjustments. Any chance of preparing this a day in advance and baking in the oven when ready to be baked? I wouldn’t. 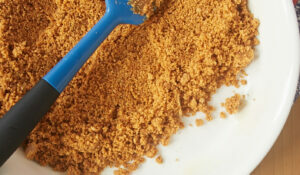 Quick bread batters usually need to be baked as soon as they’re mixed. I just made this with kids and it is so easy and turned out great! I love the recipe! That’s great to hear, Jessica! I just love all that cinnamon! Its 2017 and hope you see my comment (all others are years old). 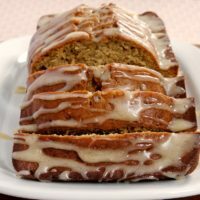 I needed a recipe for cinnamon swirl bread to use for Famous Daves Bread Pudding. I came across your recipe and noticed it doesnt call for yeast and I dont have to worry about rising or punching down dough. 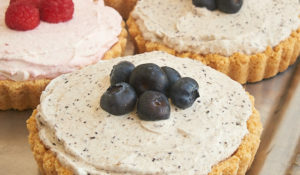 I havent baked it yet but am planning on making two loaves one for pudding and one for me cause the picture looks amazing!! I will let you know how all turns out. Thanks for this recipe. You saved me alot of time in the kitchen. Just found this today. Made it. This is sooooo good! Would butter milk be acceptable? Hi, Cheryl. Buttermilk will change the flavor, but that’s fine if that works for you. 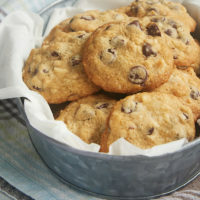 The flavor of the buttermilk will be less pronounced if you substitute baking soda for at least some of the baking powder. I’ve not made this bread that way, so I can’t give you measurements that I know will work. If I were going to try it, I’d likely try 1/2 teaspoon of baking soda and no baking powder. Hi Jennifer. I try to make things without nuts since several people I know are allergic. Should I just omit or can I substitute choc chips or cocoa of some type? if so what would be quantity you would recommend? Hi, Debbi. You can omit the nuts if you like. 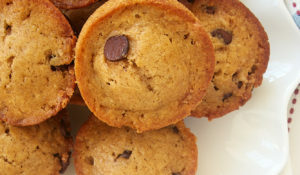 Chocolate chips would likely work, too, although I would probably go with mini chocolate chips. thanks:) would you substitute the same amt of mini chips for the pecans? Sure, or maybe just a little less so they don’t overwhelm the cinnamon. Hi 👋 can I substitute the pecans for wamlnuts? Yes, you can use walnuts if you prefer. This bread was fantastic! I did substitute walnuts, since I don’t like the bitterness of pecans. Such a hit. I will be making this again for Thanksgiving and Christmas dinners. Keep up all the good recipes coming. Hi, Mads. If you do a Google search for recipe nutrition information calculator, you’ll find several that will estimate that for you. can you freeze these loaves? I bake for our school staff the week before Christmas holidays and would love to make a few things in advance. Looks delish! I’ve not tried freezing this specific quick bread, but they generally freeze well. Hi! Can I substitute a dairy free milk like coconut milk? Hi, Marilyn. I’ve never made that substitution, so I can’t say for sure. I’d recommend using the manufacturer’s substitution guidelines.